If you are looking for a low-cost VPN solution, LimeVPN may be one to consider. There is not a lot of third-party information available on LimeVPN at this point in time, which is a detractor, but the software has a lot going for it. 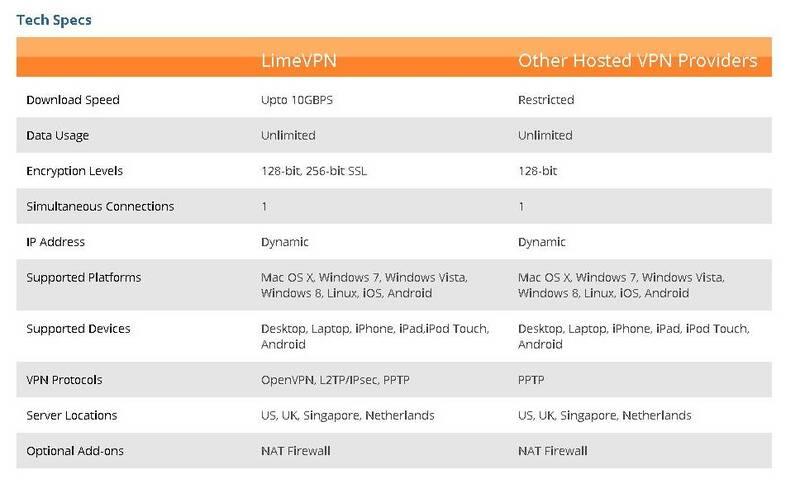 LimeVPN’s website is well-organized and informative, and the software is compatible with a wide range of devices. You will find step-by-step installation instructions with screenshots for all operating systems. At just $2.99 a month, LimeVPN looks like it may be an outstanding deal. Be warned however that there are some drawbacks. Customer service seems pretty poor, so if you have difficulties with this software, there is no guarantee someone will be able to help you out. • Browse the internet anonymously without worrying about hackers or other prying eyes following your tracks. • View content and use services which are blocked in your workplace, school, or country, including streaming multimedia. • Potentially speed up your internet access, depending on your location and the server you want to go through. Microsoft Windows: Windows 7, Windows Vista, and Windows 8. Being as you can easily install LimeVPN on any of the operating systems above, you can also run the software on pretty much any hardware configuration you can think of. LimeVPN will work on your desktop, laptop, or mobile device. On the homepage, scroll to where it says, “Secure Every Device.” Find your device on the list, and click on it. This will take you to a page of step-by-step instructions for installation, complete with screenshots. These are some of the clearest installation instructions we have ever seen for a VPN. Very helpful! While the website displays a prominent orange button on the homepage that says, “Free Trial Now,” this should not be taken literally. Technically LimeVPN does not offer trial accounts. What they do offer is a 7-day risk-free guarantee. Considering their ultra-low costs, this is really not a problem. 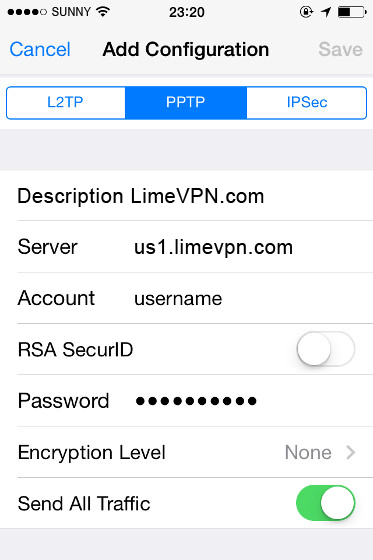 There is only one pricing tier for LimeVPN, called LimeVPN Pro. This tier costs $2.99 per month, which is a very reasonable price. PPTP, OpenVPN SSL, and L2TP/IPse protocols are all included, along with 256-bit encryption. If you want to save some money, you can pay for a full year upfront. This package costs $29.99, which comes out to around $2.49 per month. Since there is no free trial, it is wise to purchase just one month to start with and evaluate the service. If you like it, you can then sign up for a full year in advance. Again, this is one of the lowest prices you will find for a VPN, so it is a really good deal. If you are not fully satisfied with LimeVPN within the first 7 days of usage, you can contact customer service for a full refund on your purchase. You need to contact the team within that 7-day period, or the refund offer is void. This is the closest thing to a “free trial” that LimeVPN offers. Considering the low cost for a month of service, this is entirely reasonable. $2.99 does not really represent a lot of risk. It would in fact have been pretty easily justified not to offer a refund guarantee at all. According to the company, the number of IP addresses available is “limitless.” While this is of course an exaggeration, there are thousands to choose from. You can access the World Wide Web through servers in the UK, Germany, France, Spain, Italy, Denmark, Sweden, Norway, the USA, Ireland, Belgium, Poland, Australia, Japan, the Netherlands, Austria, Canada, and Switzerland. This is a pretty Eurocentric selection, so it may not be adequate if you are looking for choices in Asia (Japan being the only one), South America or Africa. On the Network Locations page on the LimeVPN website, you can see how many IP addresses are available in each location. For example, Sweden has more than 5,000 IP addresses, and the UK has over 19,000. That may not really be limitless, but it may as well be! There are no data caps on LimeVPN. Bandwidth is unlimited, which makes this a great choice for streaming multimedia or online gaming. 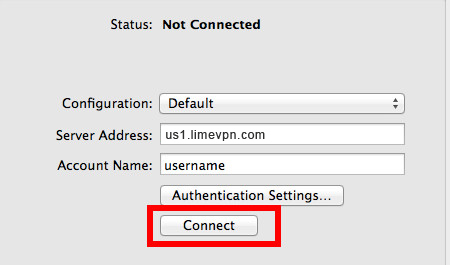 LimeVPN runs through familiar protocols like OpenVPN, and takes a minimalist approach. This is great if you just want something really simple and straightforward that you can use to connect anonymously online. There is not currently much in the way of information when it comes to disconnects and stability issues. The company does provide 24/7 support for customers who are experiencing problems with the software. Whether that support is truly useful is another question altogether; more on that in just a little bit. LimeVPN supports download speeds up to 10 GBPS. Your exact speed will depend on factors like your ISP and your location. So long as your ISP is not capping your speed, you should have no problem streaming multimedia, gaming, and doing other intensive online activities through LimeVPN. Foreign sites often load more quickly with LimeVPN, while local sites tend to be a bit slower. If you choose your server with care, you should be able to avoid major lag problems. LimeVPN features 128-bit, 256-bit SSL encryption, which is on par or above the security standards for the VPN industry. Optionally, you can add on the NAT firewall for even higher security. The company doesn’t provide any information about logging. It is best to assume that they maintain logs since they do not seem very forthcoming. For a lot of users, this will not even be a concern. But for some, it may be a deal-breaker. If you wish to contact customer service for LimeVPN, you can do so 24/7 through the contact form on the website, the customer support or billing email address, or live chat. No phone number is provided, which is not great—it is always helpful to be able to talk to a real person in real-time. We were initially excited to see the live chat feature, since not all VPN companies provide this, but this turned out to be something of a disappointment. We waited for about three minutes for a representative to arrive (not a big deal). When he did, he was pretty unhelpful, and that was a problem. He was polite, but instead of answering our questions, he simply kept referring us to site pages that didn’t answer the questions either. Even when we gave him an opportunity to talk about the best of what LimeVPN has to offer for our review, the representative was too lazy to do more than point me toward the “Why Us?” page. He could not tell us anything about logging or stability. Based on this interaction, we would not feel too confident turning to this customer service team if we needed help. We also question how much pride he takes in his business if he can’t even find something to boast about given the chance. LimeVPN looks like it has some good features going for it. It is great there are thousands upon thousands of IP addresses you can choose from, and so long as you are happy with servers in the USA and Europe, you have a lot of countries you can select from as well. With multiple protocols to choose from and easy installation on every operating system and device, it is easy to get started. And at $2.99 a month, it’s hard to complain about pricing. Even though the company doesn’t provide a free trial, $2.99 isn’t much to risk on a month of VPN service, and there is a 7-day refund guarantee. In spite of this, LimeVPN isn’t perfect. There is no indication that they don’t maintain logs, so that is something to be aware of if logging is a privacy concern to you. There also is not a lot of user data right now on stability, speed, and ease of use. Customer service is lacking. Even though you are likely to get a hold of an agent fairly quickly, there is no guarantee that person will actually be helpful. This may be an indication that LimeVPN is still in the early stages of its operation, and as a result, there are a few issues that the company is still working out. There is room for improvement for sure. But it may also simply mean that you get what you pay for. At $2.99, it is hard to imagine there isn’t a catch, and in this case, the catch is probably poor customer service. That said, if you aren’t looking for perfection and you want to save some money, then LimeVPN may be exactly what you need. With high speeds, no data caps, and thousands of IP addresses to choose from, it does offer a lot for your money! I paid for this service and LimeVPN never connected me and have refused to refund my money, cancelling my transaction dispute. Beware of this sham VPN service! They want your money and will refuse service if you dont give them a physical address to track you down. It kinda defeats the purpose of having a VPN if they want to be able to locate you. A cool vpn service which is cheap and has lots to offer in terms of encryption and security. Has good speed for streaming and gaming. I have triied livemvpn and it worked perfectly for me. The customer service is great as well. I would like to commend limevpn to all who can read this. I seldom post reviews but this service is worth all your money. The price is very minimal yet the service you are getting is so great. I have never experienced anything bad. The support team is very helpful, patient and efficient. They respond fast with queries and questions. Assistance is available 24/7 as well. A lot of working servers too. I agree with you Mary Walter. I have tried this vpn for almost a month and so far it gives me a hassle free vpn. I will definitely recommend this product. The support responds very quickly. I remember requesting them to activate my account immediately. With less than an hour account has been activated when it should have took 48 hours. The VPN works like a charm. I use it for my official purpose and have no complaints for the past 3 months. The speed that I get with limevpn servers is very good. I am using the VPN on mu Android TV without any issue for months now.